The first night of track cycling at the Rio Games proved that Great Britain is still a powerhouse in the velodrome. 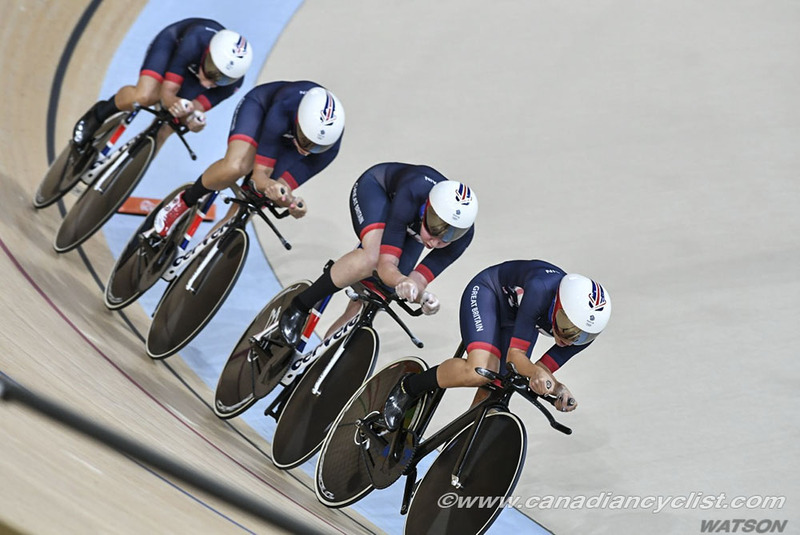 Great Britain won the first medal awarded on the track in the Men's Team Sprint, and qualified in first place for both the Men and Women in the Team Pursuit. 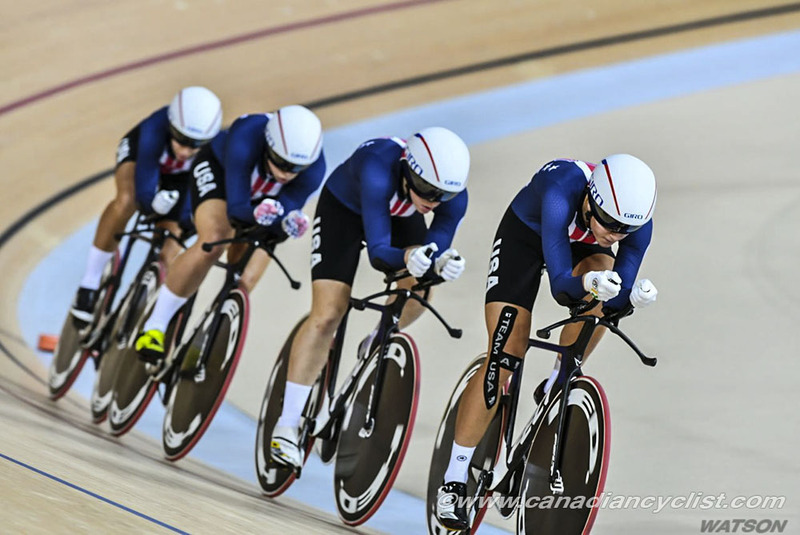 In addition, the Women's Team Pursuit squad set a world record and the Men's Team Pursuit squad came within three-tenths of a second of breaking the world record. 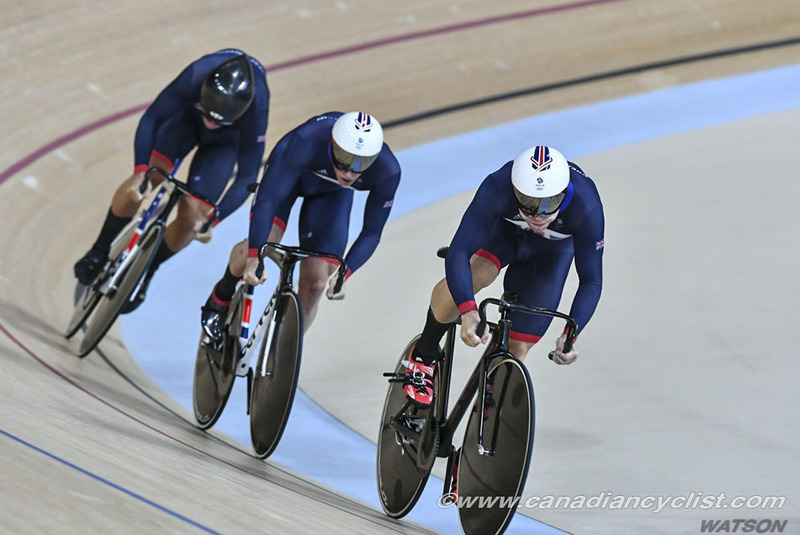 Team Sprint qualifying opened the competition, and the British team of Jason Kenny, Philip Hindes and Callum Skinner served notice that they were on form by qualifying first with an Olympic record time of 42.562 seconds. However, New Zealand's team of Edward Dawkins, Ethan Mitchell and Sam Webster were only a tenth of a second behind them. In the next round, New Zealand fought back by breaking the Olympic record again, setting up for an exciting final, with Australia and France to battle for bronze. 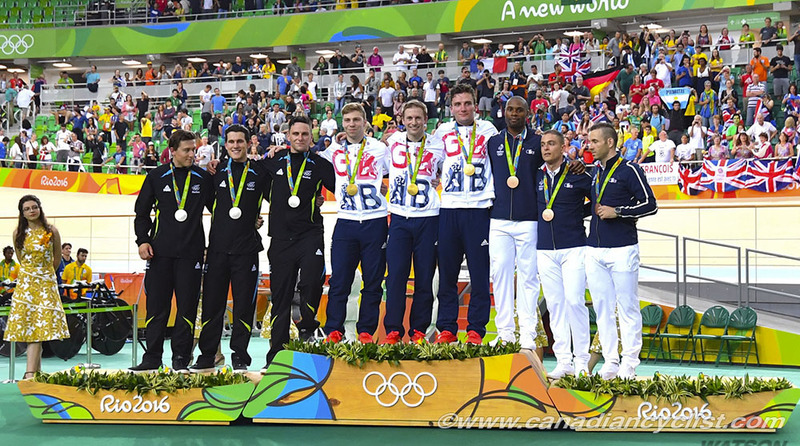 New Zealand took the lead in the first lap of the gold medal race, but Great Britain moved ahead in the second lap, and broke the Olympic record for a third time to take gold with a time of 42.440 seconds, 0.112 seconds in front of New Zealand. France took the bronze in a similarly tight race with Australia. 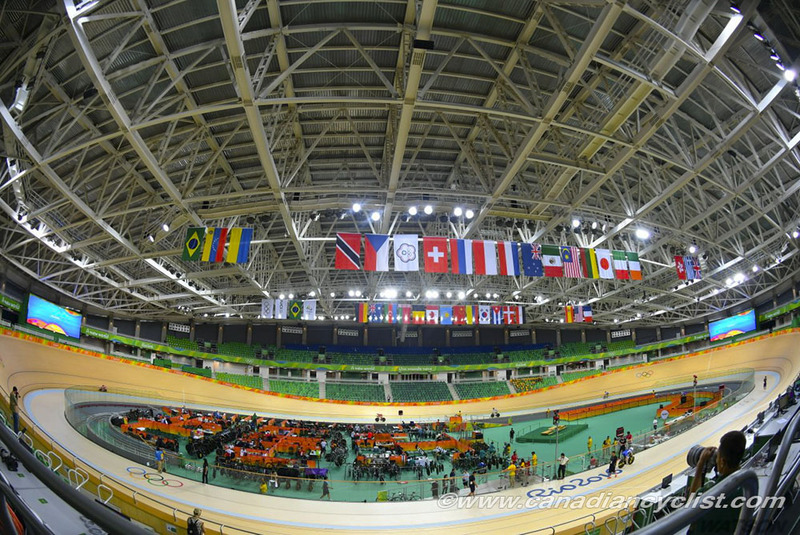 "It's a good first day in the velodrome for us," said Kenny, who won his third straight Team Sprint Olympic title. "It was genuinely a surprise to me. We've been going quite well in training, so we had an idea what we could do. We surpassed it in the first ride and at that point I thought we could run away with it like in London, but then New Zealand came back in the second round and set the benchmark. We went into the final with nothing to lose, so we just left it all on the track and, unbelievably, it was enough. The team event is the best one to win, because you get to win it with your mates." The Men's Team Pursuit qualifying round saw Denmark set a time that no one could match until Great Britain rode, in second to last position. 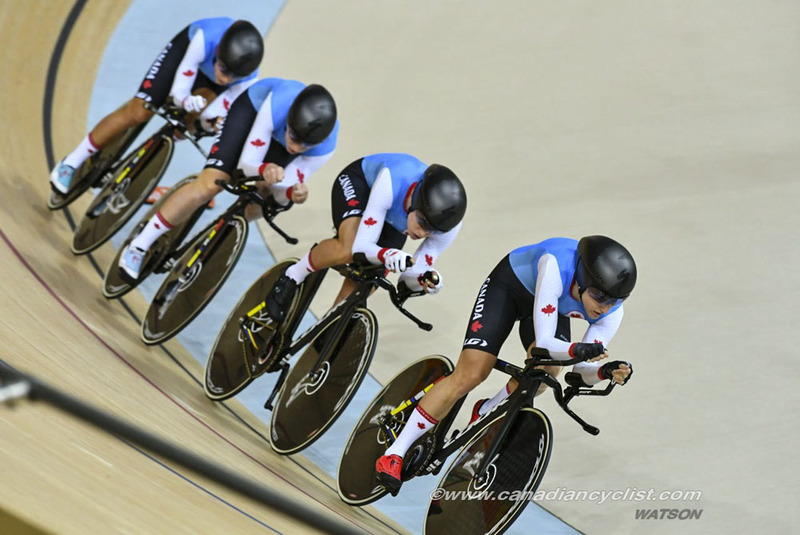 The British team of Edward Clancy, Steven Burke, Owain Doull and Sir Bradley Wiggins went out on a world record pace from the start, only missing the record they have held since the London Games by 0.284 seconds. Denmark was a distant second, at 3.453 seconds, with Australia a further two-tenths of a second back.